To sign up to The Azores Islands - Archipelago Choice Newsletter, simply click the Request Newsletter button below and you will receive amazing special offers, discounts and access to secret sales. With expert knowledge and enthusiasm for these wonderful islands, they can provide a wide range of exciting holiday experiences to this stunning archipelago. The small, friendly Archipelgao team helps more than a thousand visitors each year to enjoy The Azores – many of whom return with them year after year. They have wonderful friends and colleagues all over the islands who will help make your holiday to the Azores not only memorable but unique. Sign up for the Azores- Archipelago email newsletter for special offers, new holidays and Azores news! 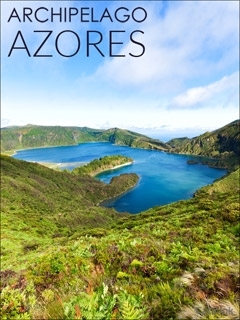 The Azores Islands - Archipelago Choice Newsletter Karen L. said: Oh it looks perfect! Quality brochure - impressive. By Pressing the Request Newsletter button you give The Azores Islands - Archipelago Choice (and their Data Processors for the specific purpose of delivering your emails) consent to send you their newsletter via email until such time as you choose to unsubscribe.